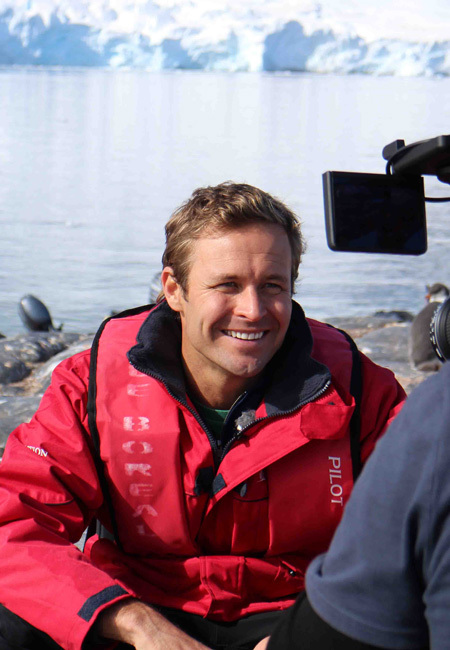 A familiar face to Australian audiences as the host of Foxtel’s international travel series Escape, and for his regular appearances on Channel Nine’s Today and Today Extra Shows, few would believe that David Whitehill began his career as a dolphin trainer at Sea World. 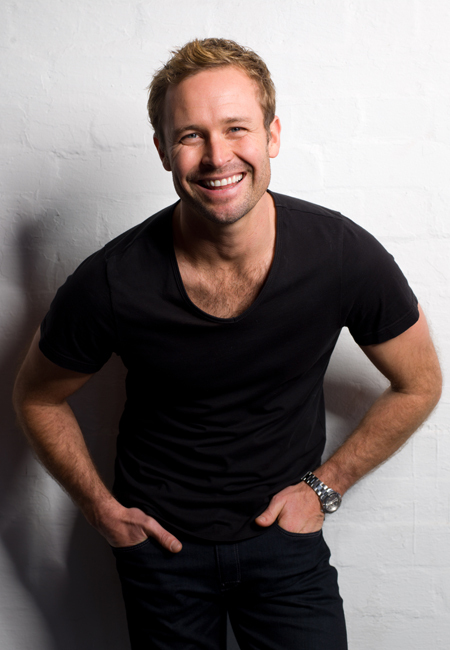 Australia was first introduced to David Whitehill in 2002 when he was crowned Cleo magazines Bachelor of the Year. Capitalising on his success, David quickly signed with the Nine Network, where he hosted the networks then flagship national children’s program Hot Source. David went on to film 400 episodes of the show. During this time he pulled double-duty by also filming and presenting Queensland Escapes where he travelled throughout some of Queensland’s most alluring territory and bringing them to life with his down to earth approach to travel and adventure. Never one to rest on his laurels, David then moved on to host the hugely successful and nationally broadcast music show So Fresh. David reviewed clips and albums from around the globe and for an impressive three years brought the music world to Australian audiences interviewing international music superstars at the Arias, Teen Choice Awards and the MTV music awards. First appearing on Mornings with Kerri Anne in 2004, he became a regular and favoured face on the show. David’s role on the show, reporting on everything from monster trucks to baby panda’s, gave him vast experience in live broadcast. He also travelled the world filming the programs travel stories, and co-hosted the show with the much loved Kerri Anne Kennerley while broadcasting live through Europe. In 2005, David tackled the slippery slope of ice skating on Channel Nine’s Skating on Thin Ice. Broadcast to a national audience, the show featured nine celebrities learning to skate, with the ultimate goal being to perform with Disney on Ice, with proceeds going towards children’s charity CanTeen. David has continued to work solidly as a presenter from his first day on set. He's hosted a series of the international success Just for Laughs, presented for National Geographic Channel in Dubai, and has also ticked everyones travelling box as a presenter on Getaway. Australian travel giant Scenic also saw the benefit of David’s profile and production skills engaging him to host and produce two travel specials, which aired to over 4 million viewers. The shows were such a success that David has gone on to create over 100 travel segments across the Nine Network. From 2012 until present he has been the Travel and Wildlife Expert for Mornings and Weekend Today and with his marine and animal training expertise, along with his hands on attitude to travel, you could say he’s definitely in his element. David has worked alongside many brands including Emirates, Patek Philippe, NBN, Scenic, ING Direct, WWF, and Pepsi. He was engaged as the Face of Sea World Australia and for four years he hosted the Qantas Welcome Aboard program and Qantas Destinations. David is one of those rare TV personalities who’s as comfortable behind the camera as in front. He’s built a successful production company namely Proud Nomads which produces travel and lifestyle content from around the world. His broad experience and knowledge affords him access to extraordinary stories and wonderfully engaging content. 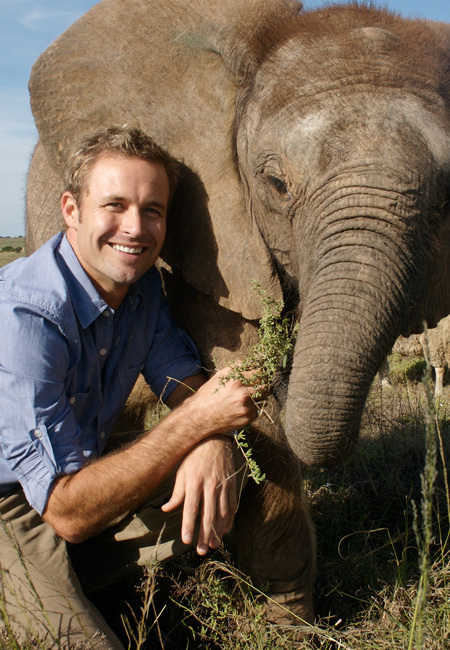 Having travelled to every continent filming wildlife and travel stories, David is dedicated to bringing these stories into our living rooms so we can all enjoy the wonders we have around us. On a personal front, David is a proud father of his two year old son Zac and is loving everything that comes with bringing him up, while utilising a few of his dolphin training skills! With such a broad range of life and career experiences, and having seen the world a few times over, David has a special way of lighting up an audience either on screen or on the MC stage.